China is to launch Gaofen-5, a hyperspectral imaging satellite for Earth observation, at the beginning of May. The new satellite, capable of obtaining spectral information from ultraviolet to long-wave infrared radiation, can be used to survey inland waters and mineral resources, said Tong Xudong, director of the Earth Observation System and Data Center, China National Space Administration (CNSA), at a conference Tuesday. The satellite can also monitor air pollutants, greenhouse gases and aerosol particles, Tong said. To make the best use of observational data and serve countries covered by the Belt and Road Initiative, the CNSA released an international cooperation plan for Gaofen-5, specifying fields that will be open for cooperation and commercial service. 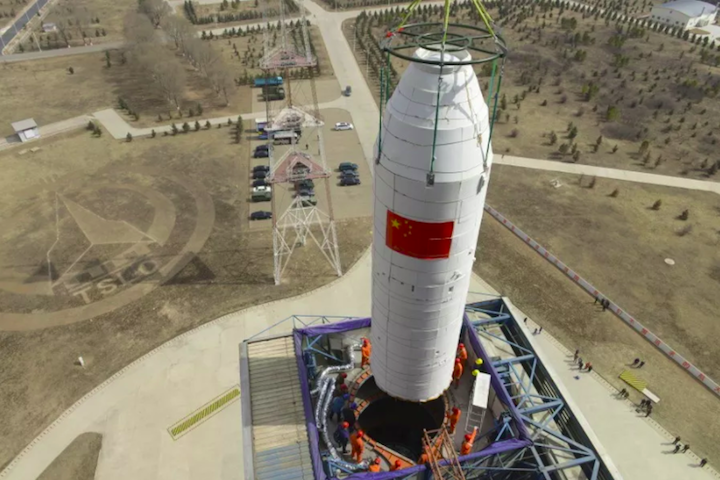 The administration also plans to launch Gaofen-6 this year, so as to form a constellation with other Gaofen satellites in orbit. Gaofen-3, launched in August 2016, is China's first Synthetic Aperture Radar (SAR) imaging satellite.